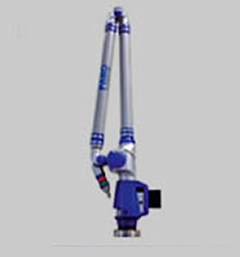 The 8ft Platinum Faro Arm’s 0.001" inspection accuracy allows Inspek Services to inspect, reverse engineer or perform CAD to Part comparison on parts, fixtures and assemblies with previously unheard of precision. When you partner that accuracy with its adaptable 3-D measurement technology and customized zero-training Softcheck Tools (with or without CAD), it is ideal for forming, moulding, fabricating, casting and assembly facilities needing GD&T and SPC output. 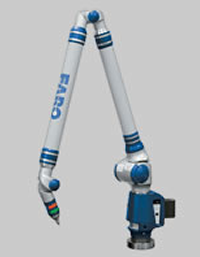 The Platinum Faro Arm is lighter than a standard portable CMM, and includes extended-use on-board batteries. The portable CMM platform has a universal 3.5" mounting ring for easy adaptability, while the base offers mounting options that afford "measure-where-you make-it" capability. 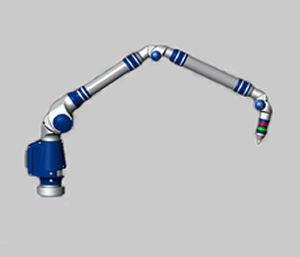 Click the button below to download the official Platinum Faro Arm datasheet.